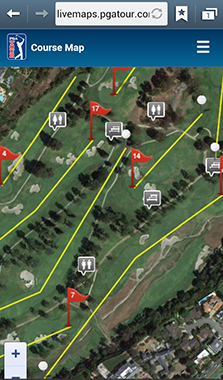 Whether you are watching on TV or walking the course in person, PGATour.com’s new Live Maps feature lets you find and track your favorite PGA golfer in real time from your computer or mobile device. 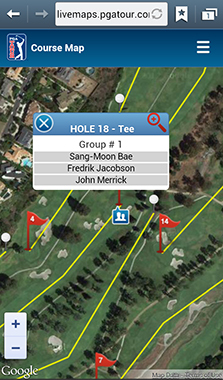 Live Maps is essentially a Google Earth type view of the golf course with icons to indicate the location of each group on the course. By clicking on the icons a pop-up box shows you the players in the group. Click again to see more details like how many shots they’ve played to this point on the hole and how far they are from the cup. The group data option will show every player by group. 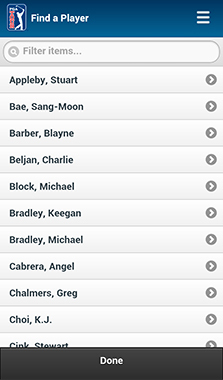 If you want to find your favorite golfer, you can filter by player. 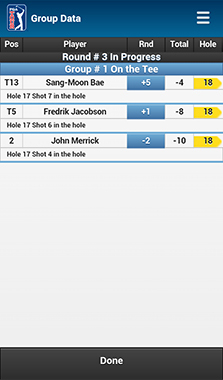 While golf fans watching the tournament from their couch may find it interesting, the app features will really be useful to fans attending the tournaments in person. 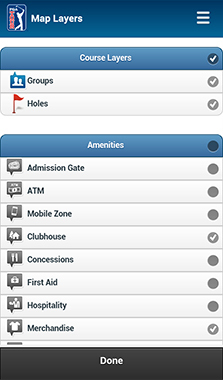 By selecting the Map Layers option you can customize the map with locations of amenities such as restrooms, concessions, merchandise and more. 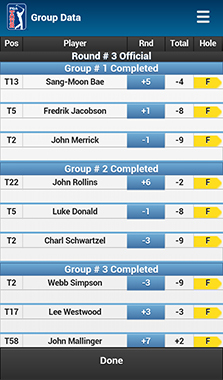 You can check out all the features for yourself on your PC or mobile browser at livemaps.pgatour.com.